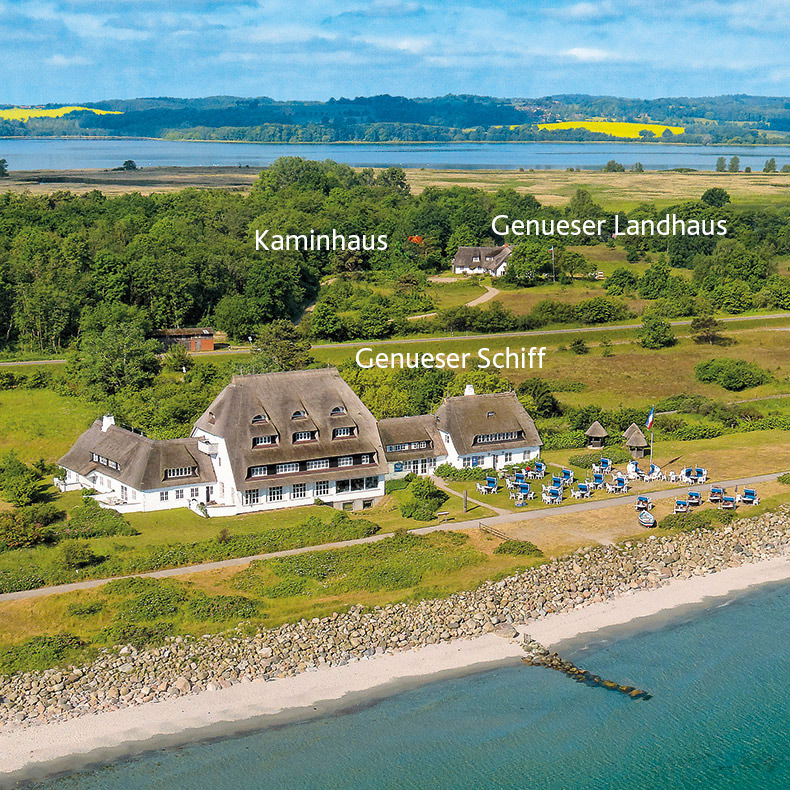 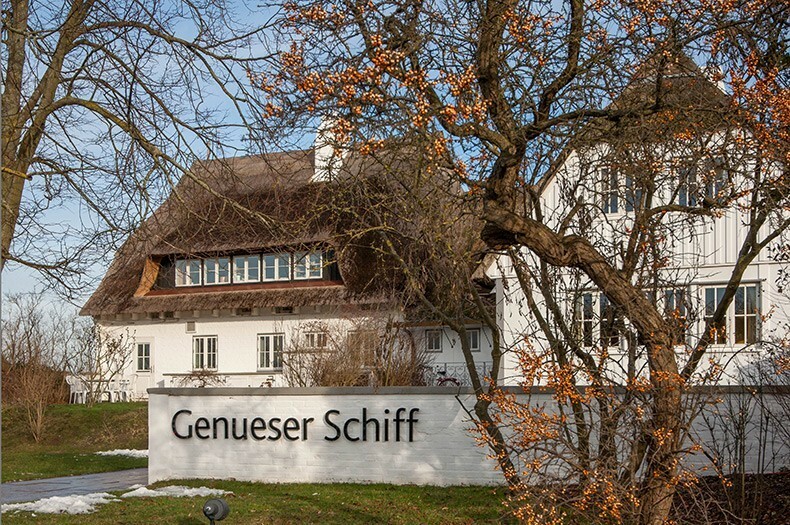 Welcome to the Genueser Schiff, the sleep-late hotel beautifully situated in a quiet bay on Germany's beautiful Baltic coast. 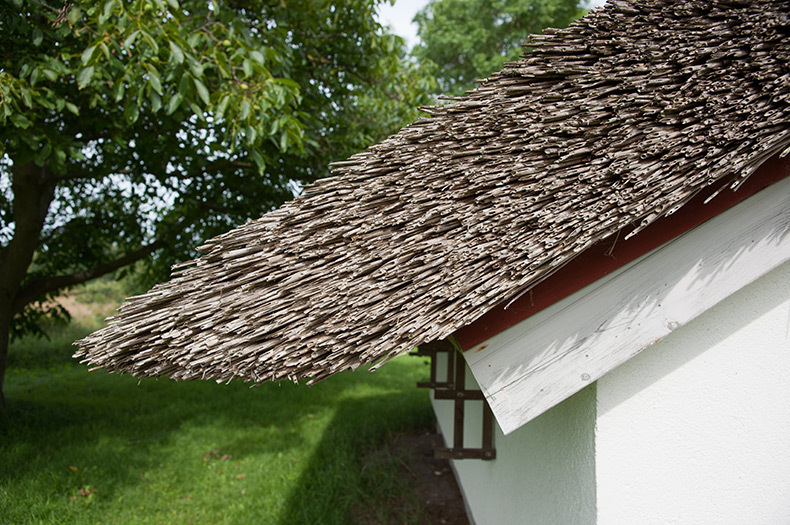 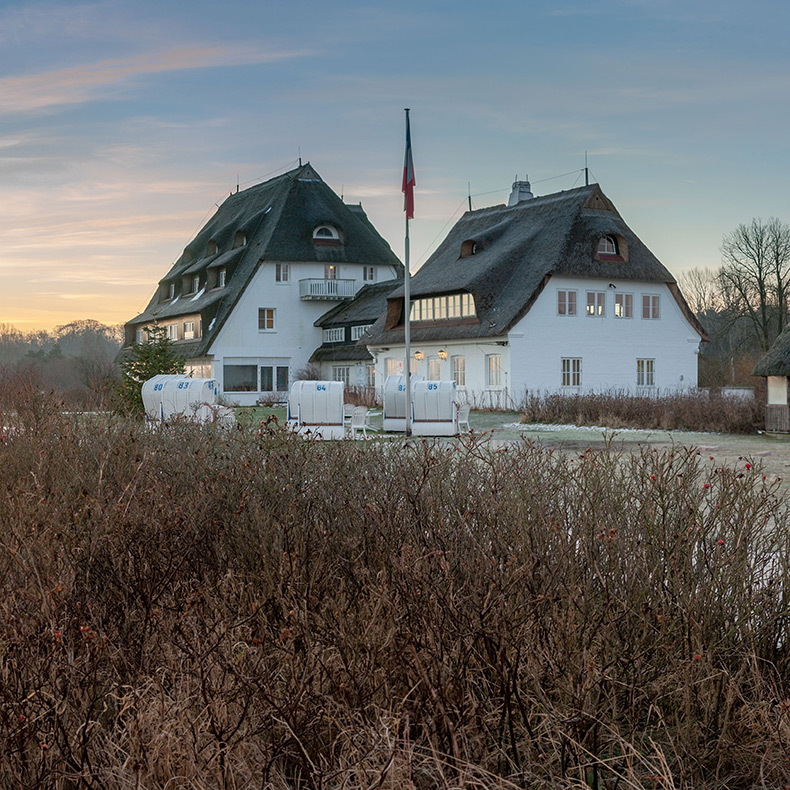 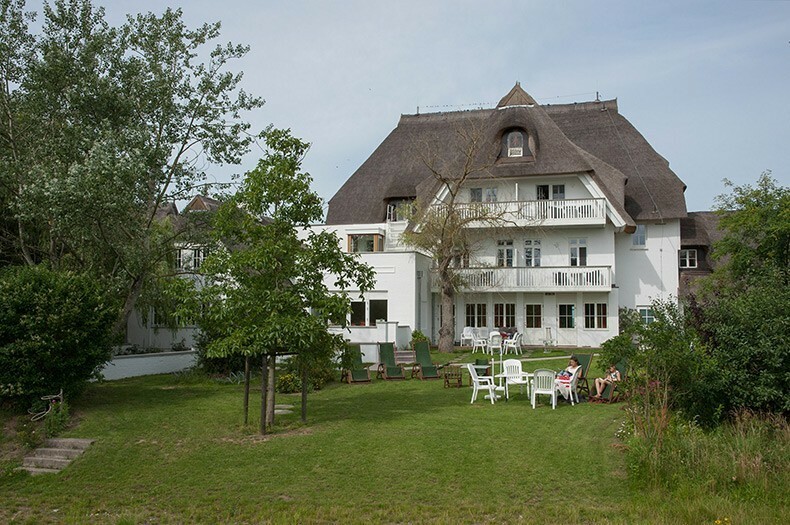 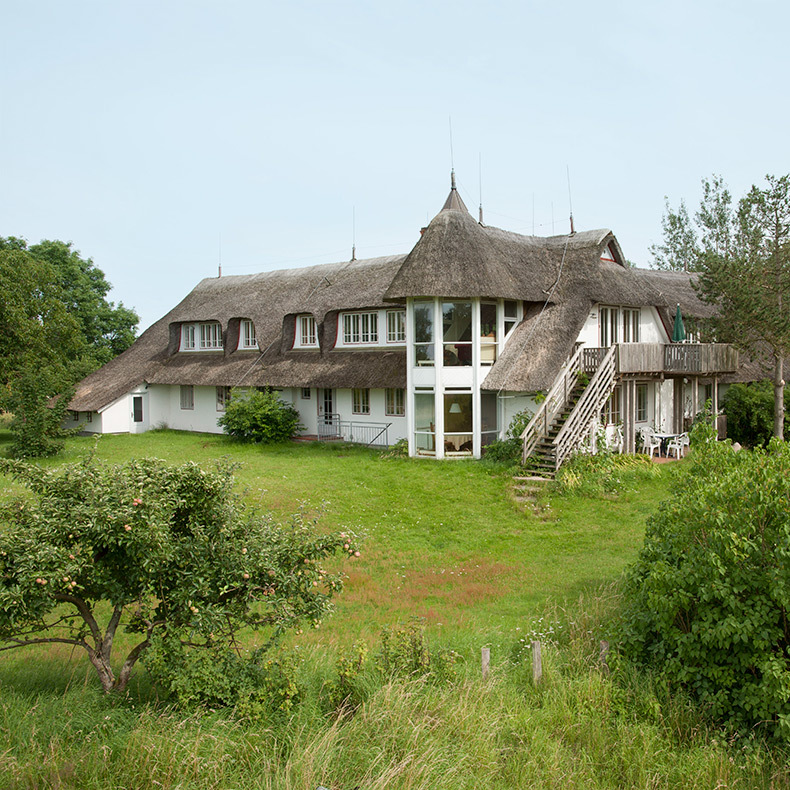 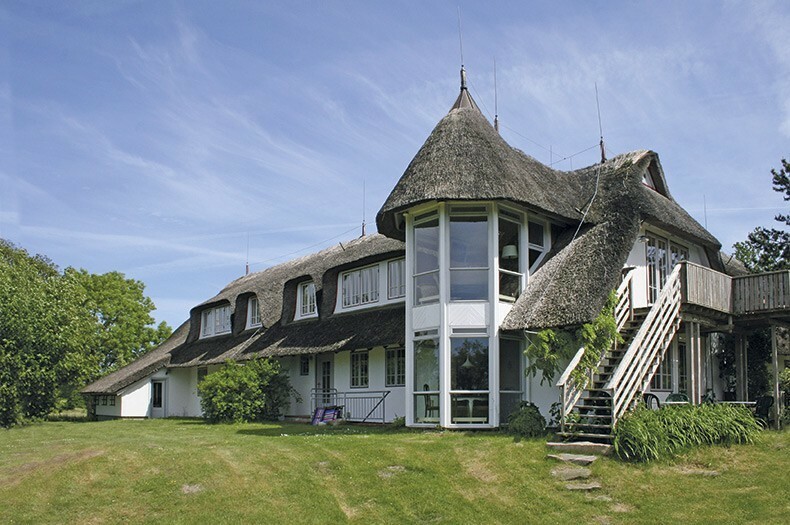 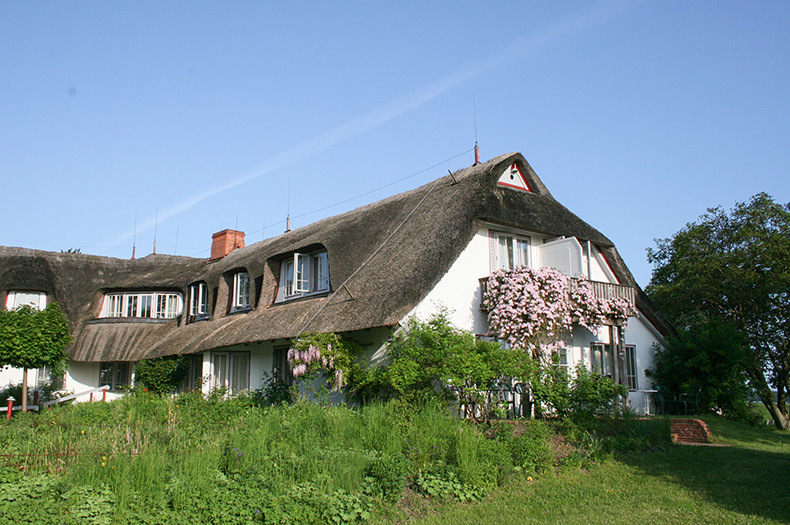 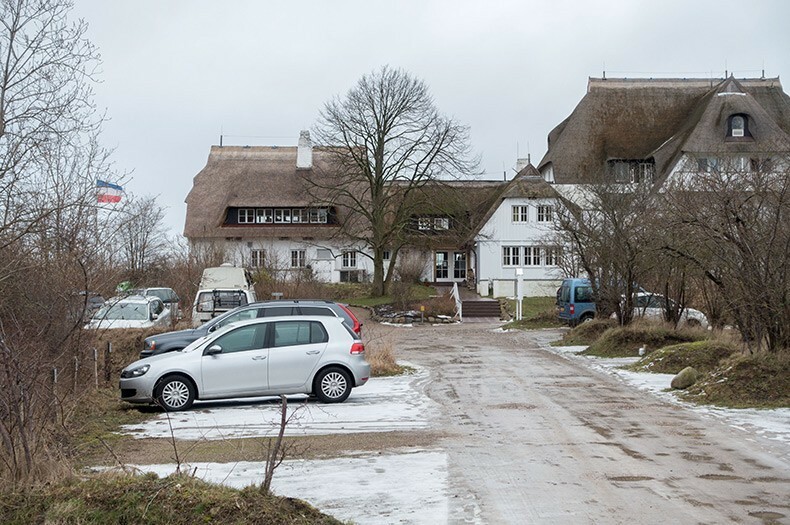 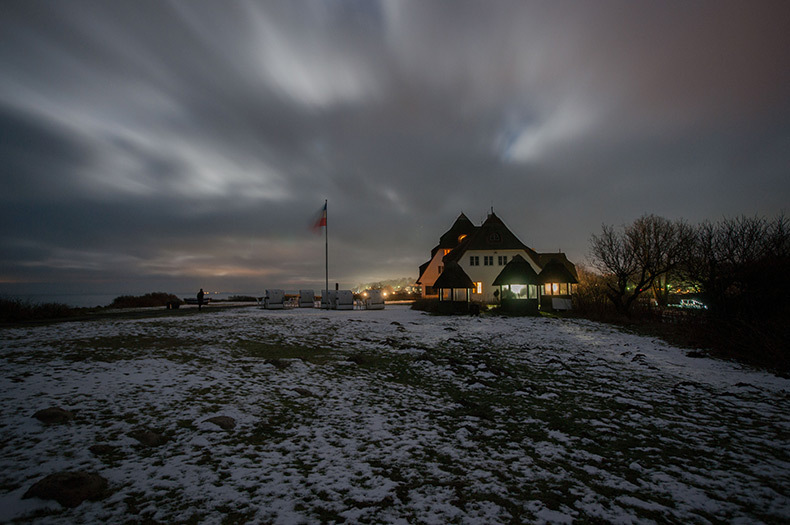 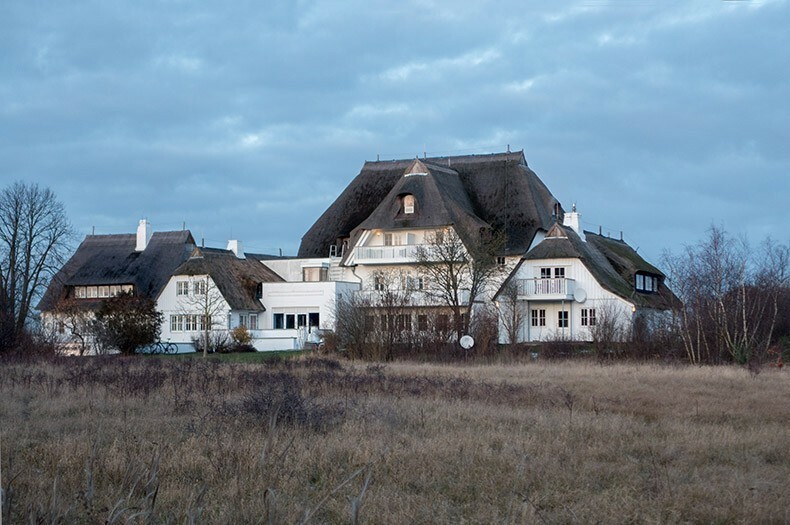 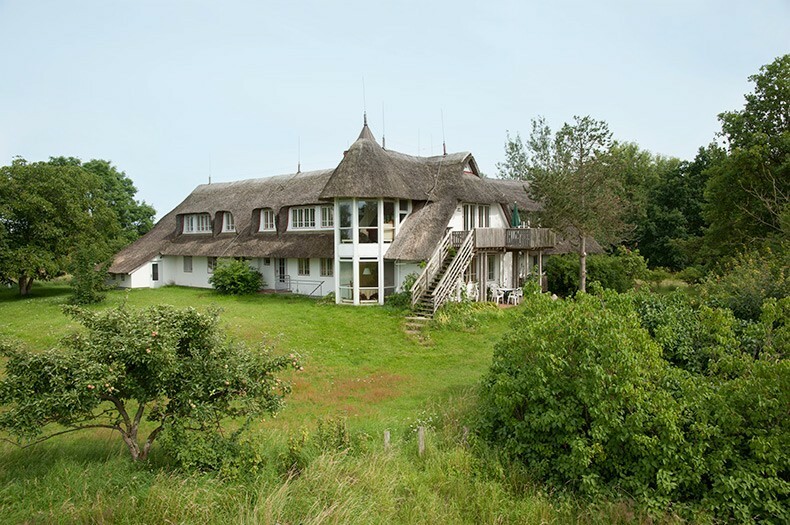 Our thatched main building right on the beach, our country house in its own nature reserve and our 'Kaminhaus' (Chimney House) offer exclusive facilities for singles, couples, families and groups – for relaxing holidays, unforgettable parties or professional seminars. 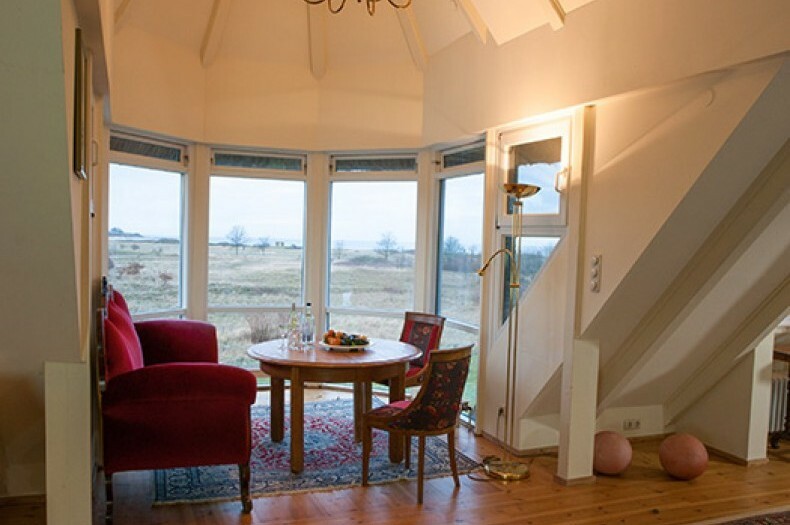 The light-filled rooms and the unique landscape provide inspiration and tranquillity. 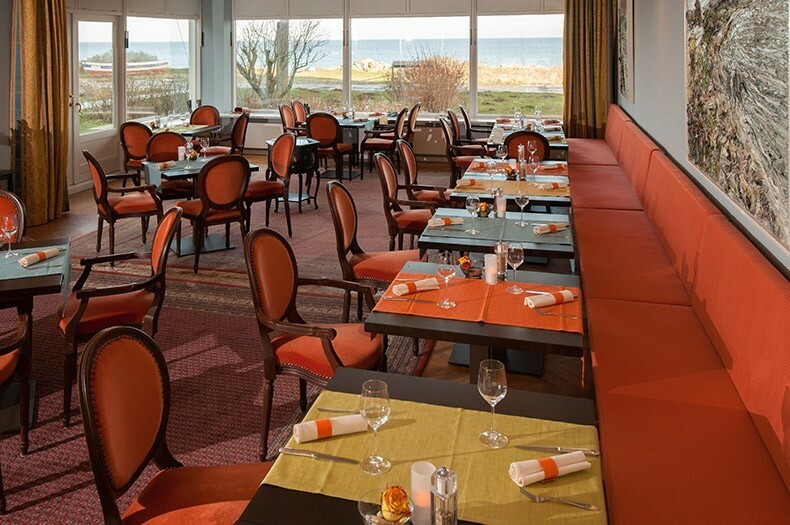 Since 2007, we have been working with the renowned Dutch architect Jowa I. Kis-Jovak to develop a unique colour and lighting scheme for the entire hotel, which combines clever aesthetics with functionality and comfort. 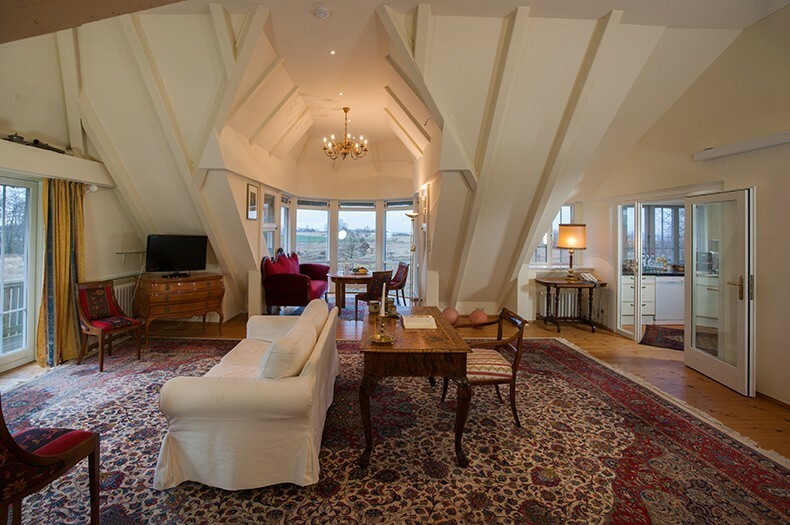 The harmony of the old and the new is an integral part of all our individually designed rooms. Because the sea makes us happy. 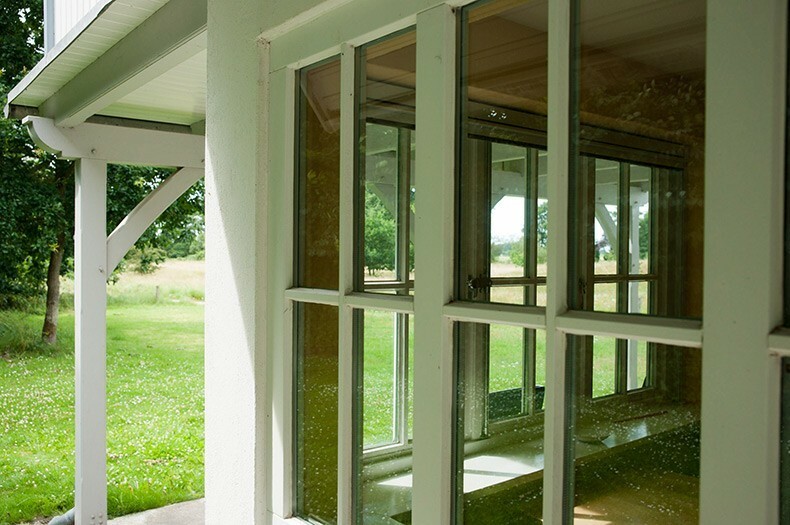 Unfortunately, it is not easy to find peace and quiet, and we long to shut down our operating systems once in a while. 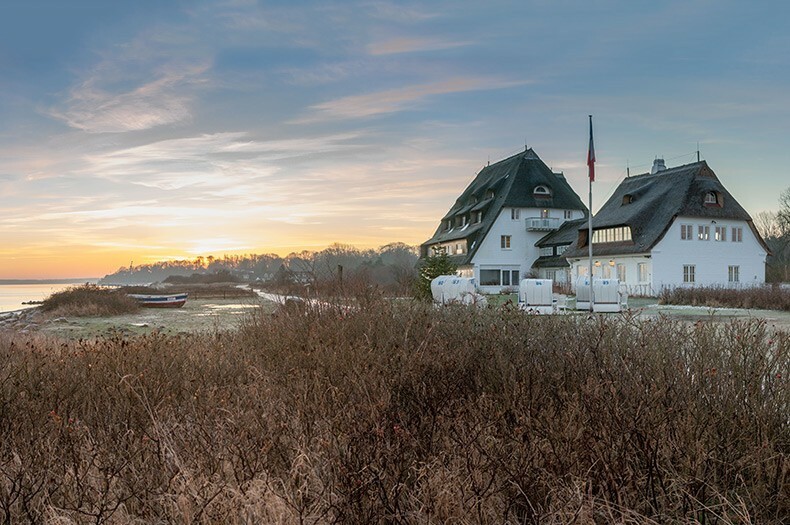 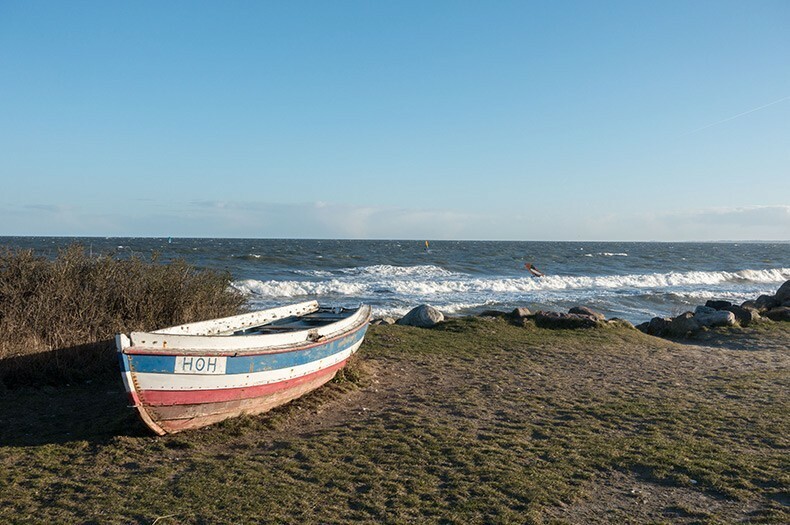 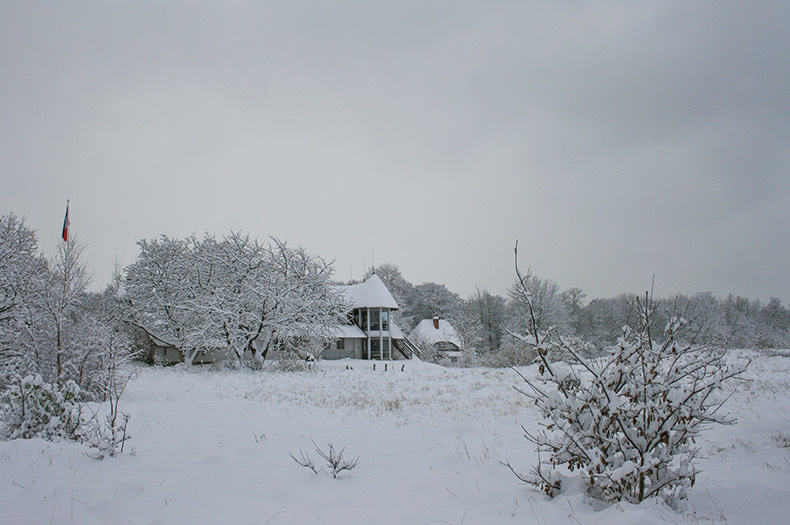 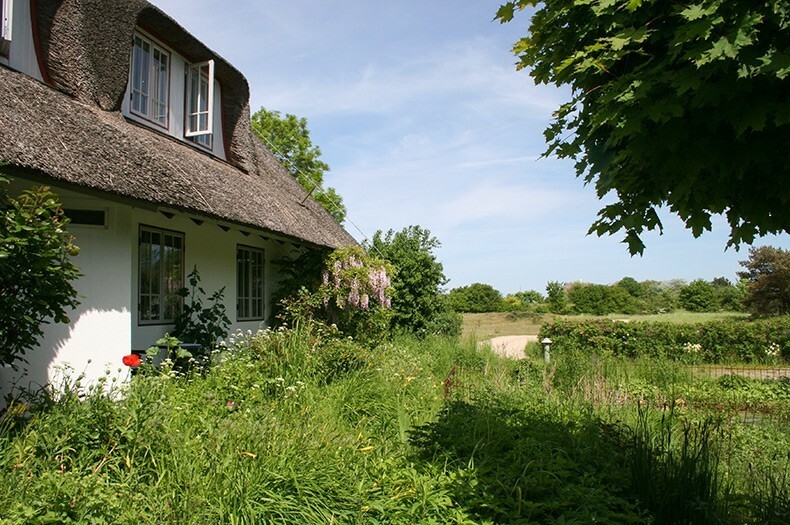 Come to Hohwacht and switch off at the Genueser Country House, located in the middle of its own nature reserve and just a three-minute walk from the sea, miles away from everyday life. 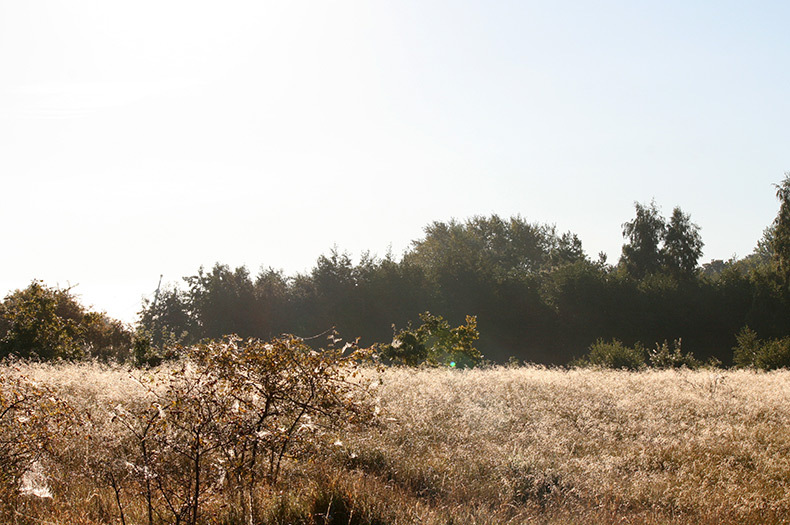 All you hear is silence and all you feel is blissful tranquility. They say that nature does us good, and that's why we love going to places where we find tranquillity, a beautiful view, the scent of green grass and places to go for a walk, a hike or a swim. 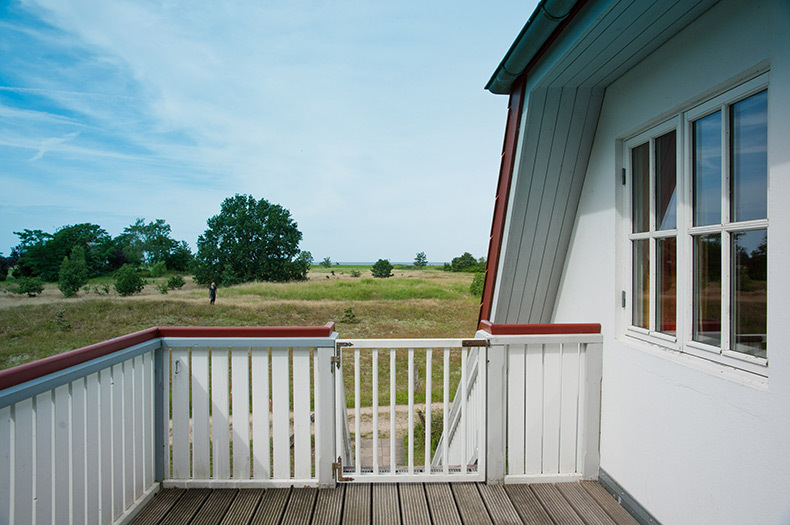 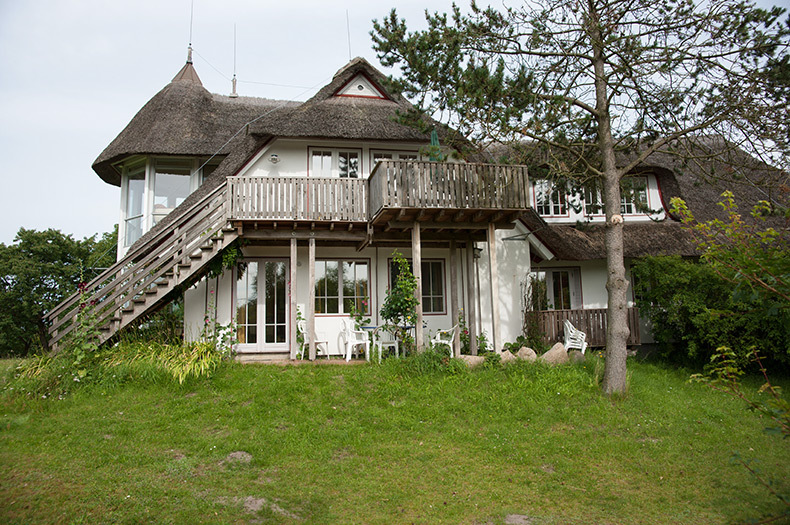 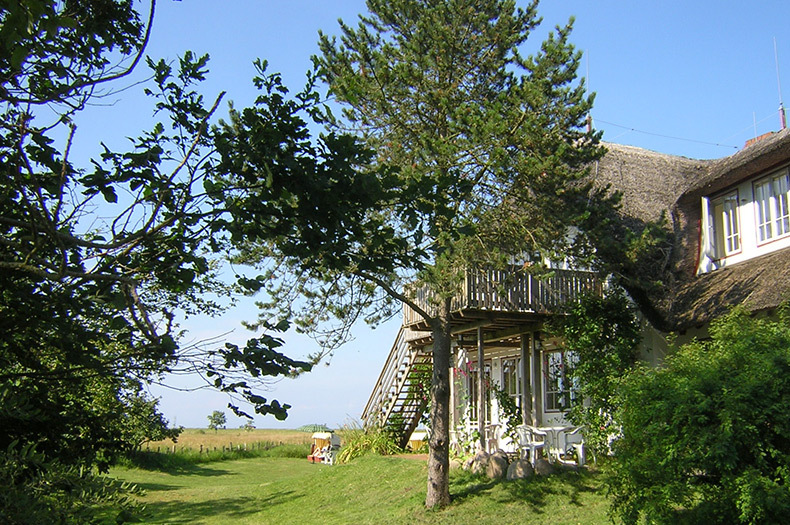 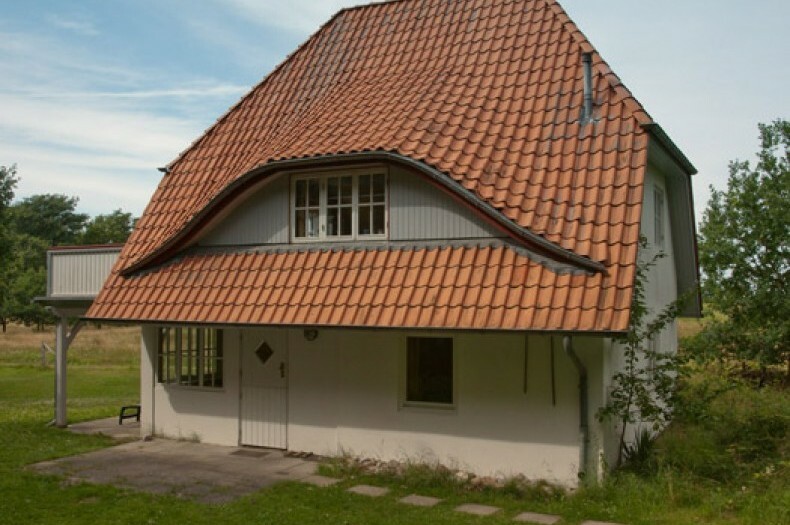 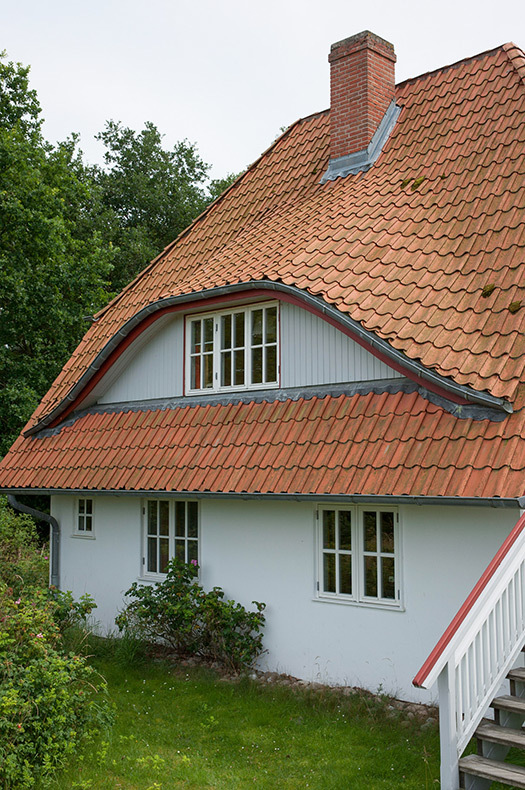 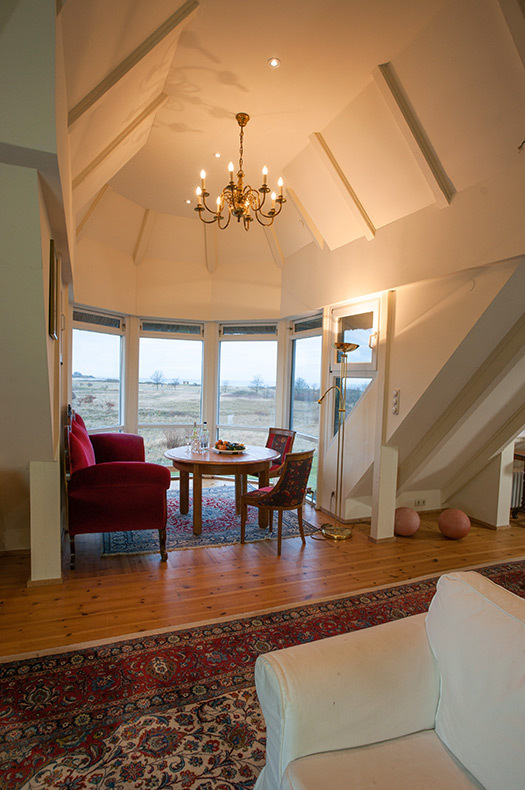 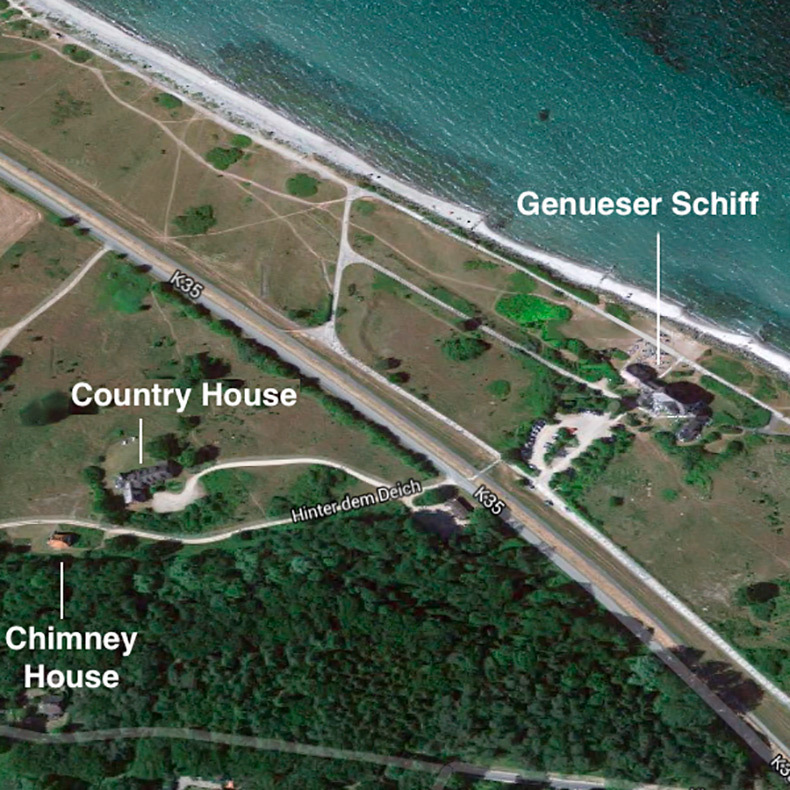 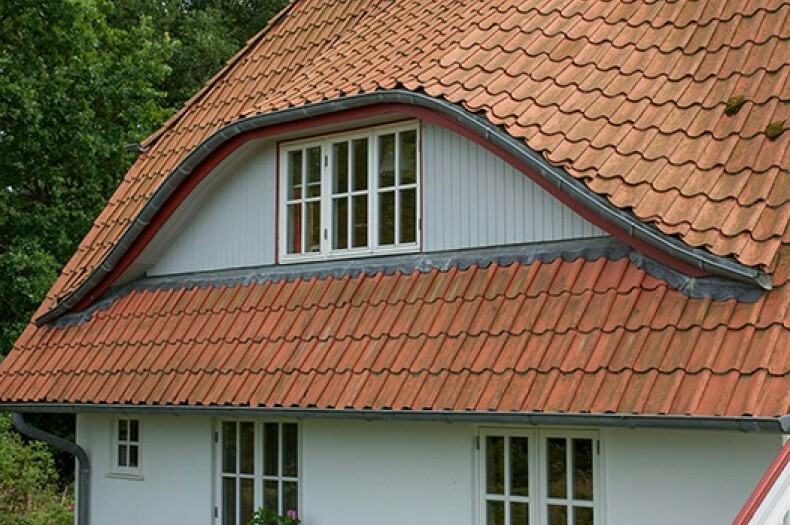 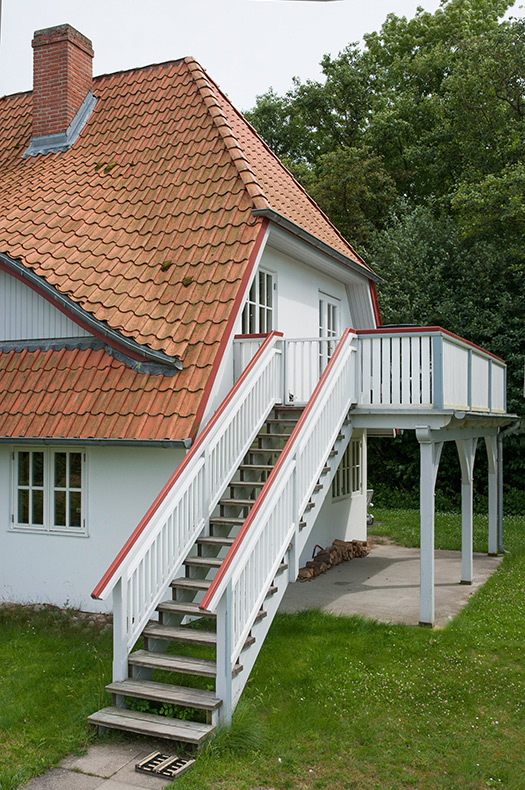 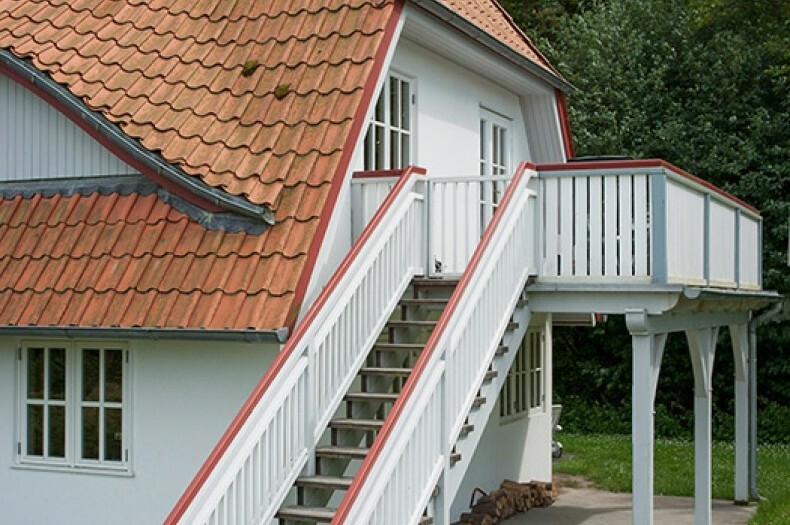 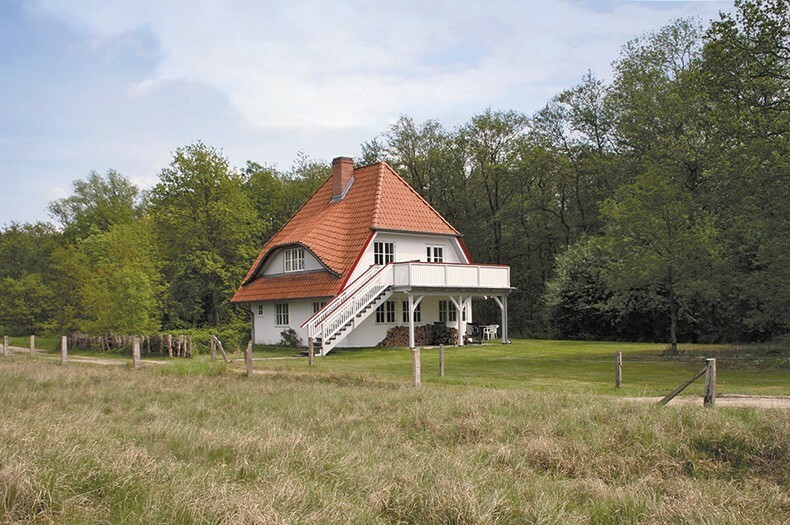 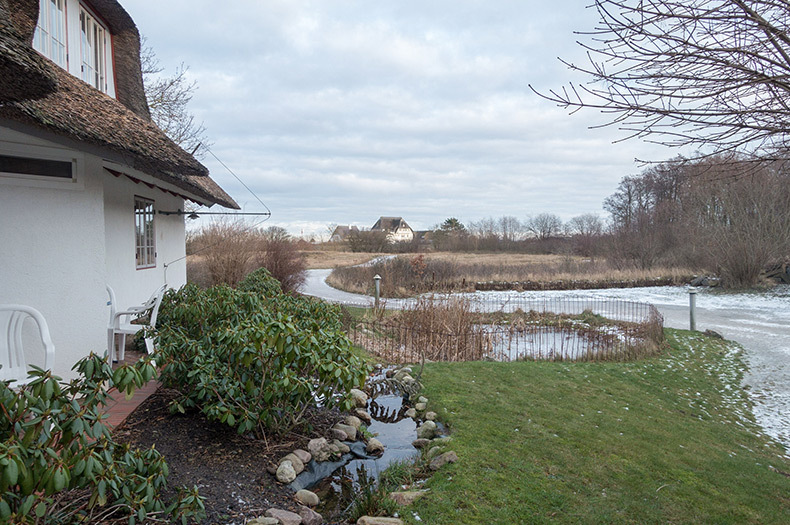 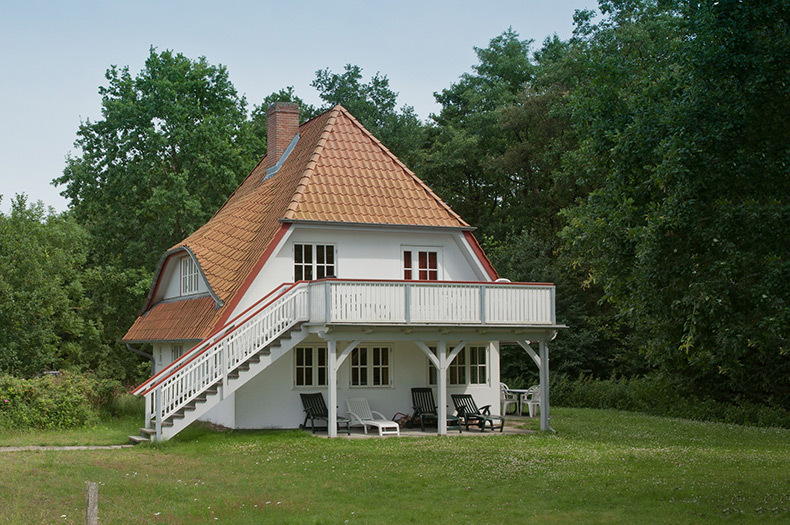 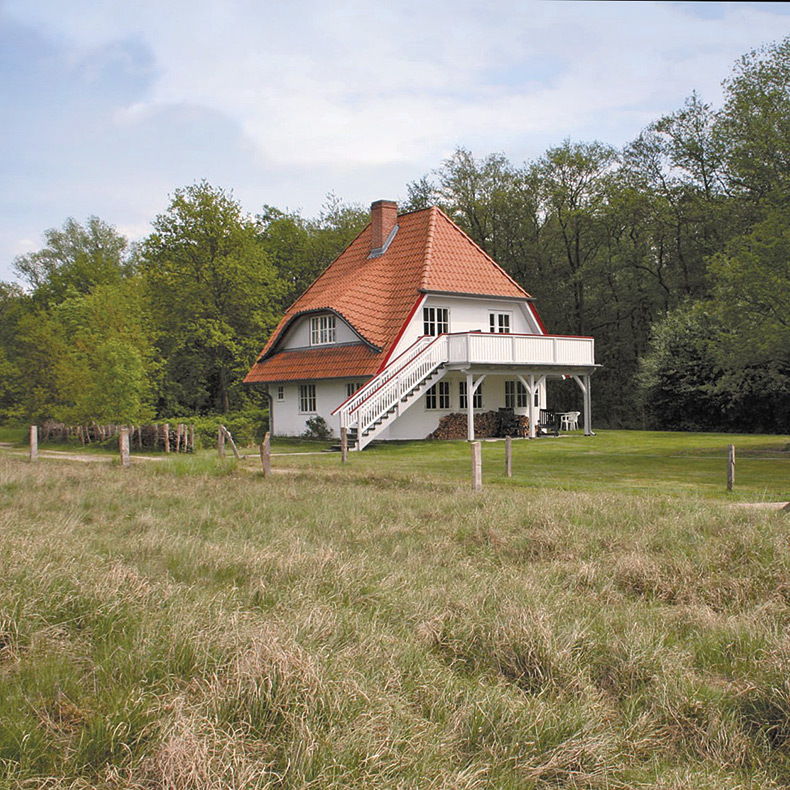 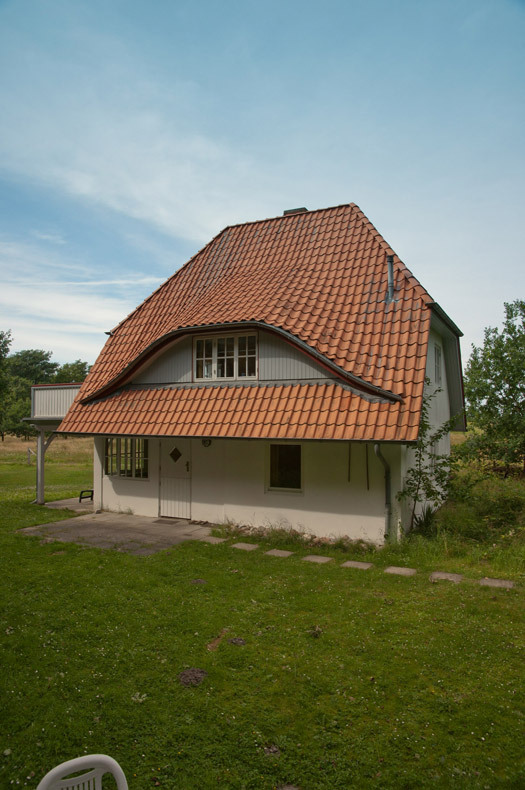 Our 'Kaminhaus' (Chimney House) is ideal for people who want to get away from the hectic pace of everyday life. 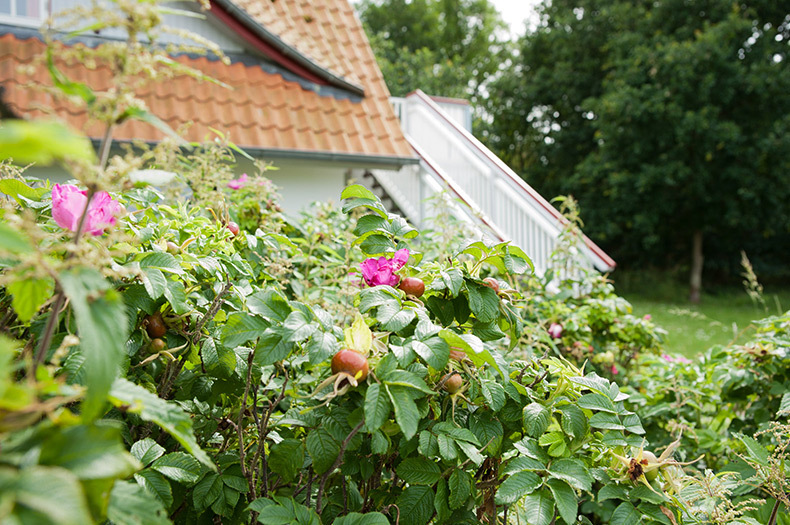 As well as all the benefits of an independently run hotel, this is where you can enjoy nature at its purest.